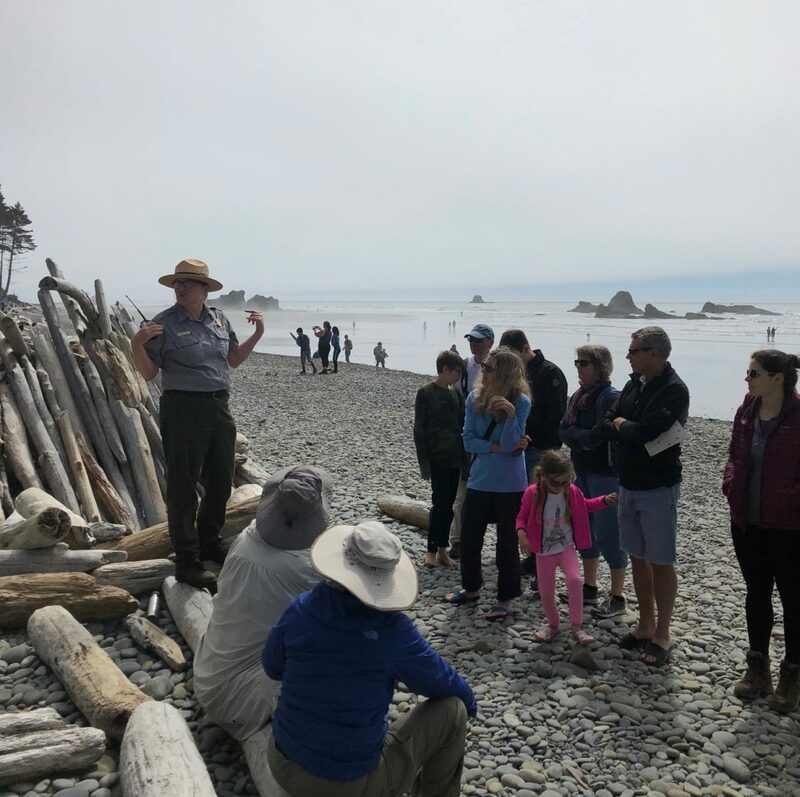 When you think of a National Park Ranger, most likely you will recall talking with them at a visitor center – getting information about the park, trails, camping, local restaurants, lodging – or paying them park entrance fees or arranging permits. They support the mission of the National Park Service: to preserve unimpaired the natural and cultural resources and values of the national park system for the enjoyment, education, and inspiration of this and future generations. National Park Rangers play a key role in keeping everyone safe during your visit. Think about some of the heavily visited places like Yellowstone National Park. When you are there it is pretty likely that you will see rangers out there when there has been a bear sighting – making sure folks don’t get too close and keeping traffic sorted out. 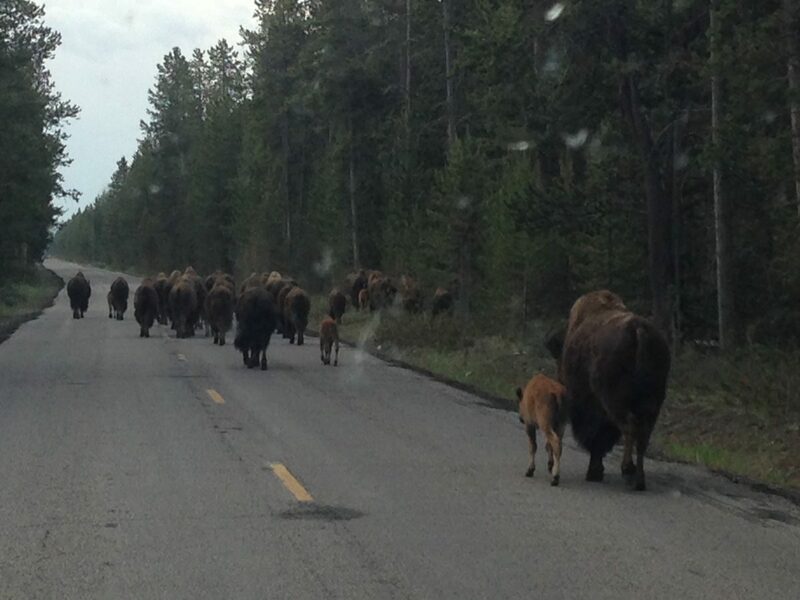 You’ll also see them when there are “bison-jams” – when bisons are blocking the road, they make sure the animals are safe from crazy drivers and they communicate with people stuck in traffic waiting to get past. They are also out on the trails and throughout the park helping make sure people keep safe – that they stay away from precarious ledges, keep out of thermal hot springs and stay a safe distance from geysers. A side note here ... make sure if you visit Yellowstone, you drop by the Museum of the National Park Ranger. They have uniforms, badges, hats and exhibits that show the changing role of the National Park Service and National Park Rangers over the years. You will see National Park Rangers out patrolling the trails, not just checking permits but also making sure that people are safe. Think of them hiking up and down the Bright Angel Trail at Grand Canyon National Park – providing emergency medical service and rescuing people who didn’t bring enough water or food, or ones who overestimated their abilities. They also monitor things like water safety and watch out for forest fires. 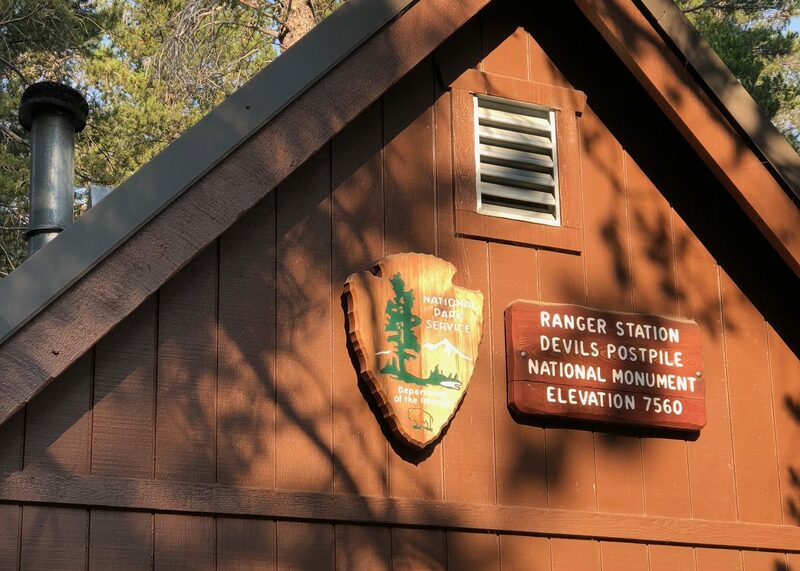 When were at Devils Postpile National Monument this summer, the rangers were keeping an eye out as the fires moved closer and making sure that hikers weren’t in danger. National Park Rangers play a key role in protecting parks for everyone. Think about it … Who keeps people from crawling all over the crumbling ramparts of an old fort? or protects artifacts from being looted? or makes sure that campers keep to established campsites and put their fires out? or keeps drones from buzzing overhead? or ATVs/snowmobiles off the trails? 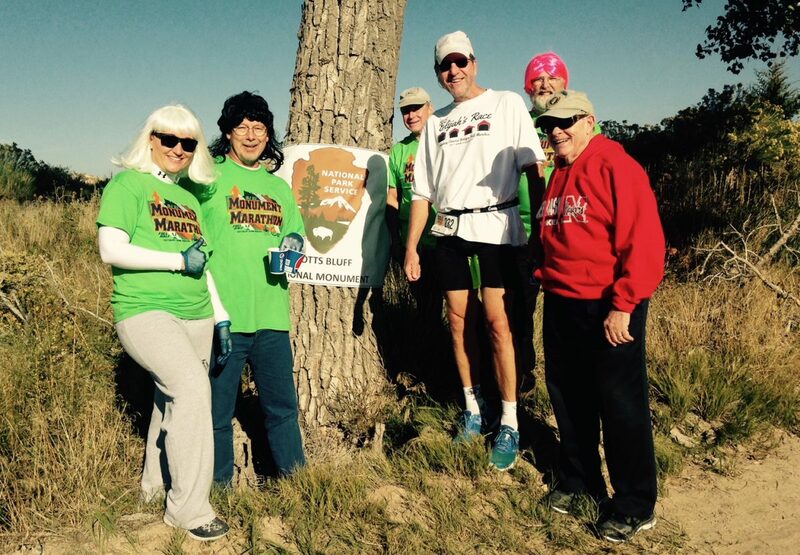 National Park Rangers are there making sure that parks are maintained for the enjoyment of all. That includes protecting the environment and the animals. You may not realize it, but some rangers are certified law enforcement officers, responsible for enforcing not just the rules and regulations of the National Park Service but also federal and state laws. They police the parks and arrest violators. These are the folks responsible for keeping drugs and guns out of parks; enforcing speed limits; controlling hunting; and more. If you like to read, check out some of the books from the author Nevada Barr (a former National Park Ranger). She writes murder mysteries set in national parks and featuring National Park Rangers. Not only are they a good read, they will open your eyes to some of the challenges these folks face. In addition to these responsibilities, National Park Rangers are there to help you appreciate and enjoy your visit to the national park unit. You will find that rangers have a wealth of information to share. You can watch the movies and explore the exhibits, but we have always found that in talking to the rangers we learn so much more! One of our favorite experiences with a tour was at Maggie L. Walker National Historic Site. The ranger was so knowledgeable and so interesting – he really brought to life her story and her accomplishments. We spent far more time there than we thought we would and it became one of our favorite national park units. 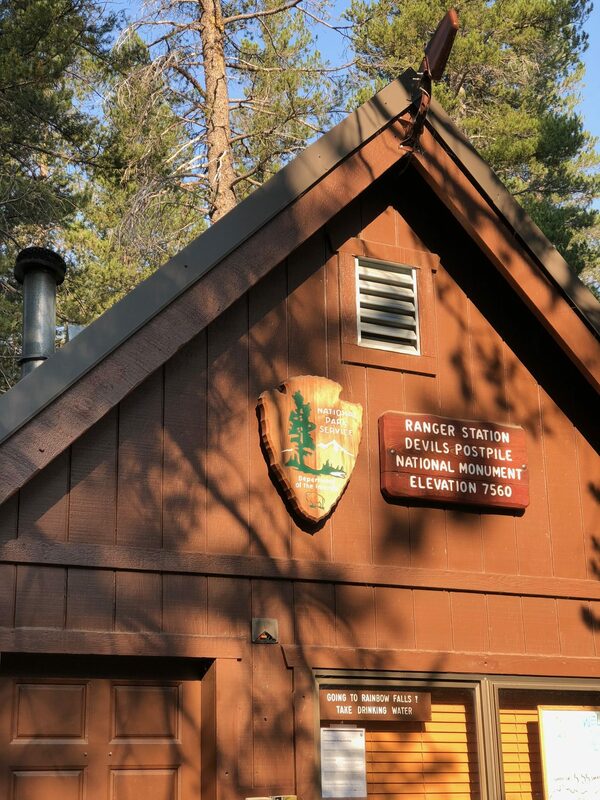 Many of the national park units offer ranger-led programs. We’ve participated in ranger-led hikes, canoe trips, walking tours, cave visits, re-enactments … One of our favorites was in New Orleans Jazz National Historical Park where all of the rangers are also musicians. Not only do they share their love of jazz and music, they perform! 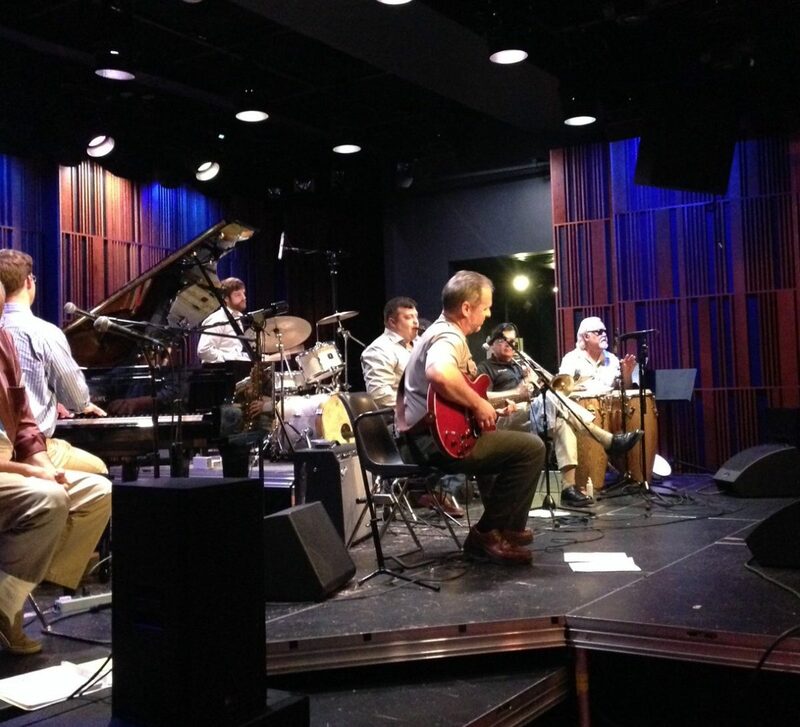 You can attend a jazz concert each week where the musicians are all National Park Rangers. There are also tons of programs that reach out to students; hosting school trips and putting on special presentations for the kids – teaching them about our natural resources and heritage, and helping them learn to respect nature and animals. In many cases National Park Rangers work closely with their community. and local agencies. Some examples we have personally experienced were in relatively new parks, like Reconstruction Era National Monument, where they worked with the mayor and local government to build the visitor center and exhibits. We also had fun seeing the local park rangers from Scotts Bluff National Monument out supporting the Monument Marathon, a fund raiser for the local school. Not only did they come out to the expo to give people information about the park, a team of them took time off to volunteer on the run course to hand out water to the runners. Now that’s spirit! 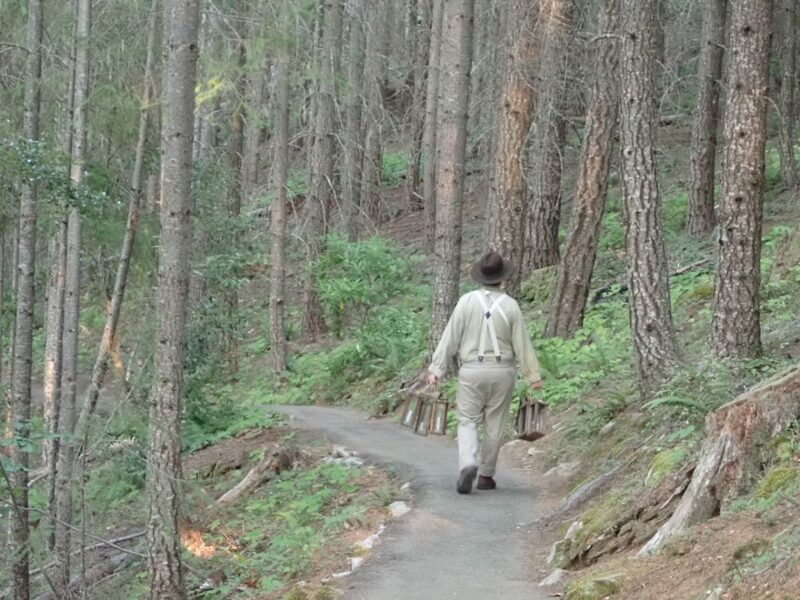 More than anything, we have found that National Park Rangers have a passion and a love of what they do, and it shows. It is not an easy job … rangers move around a lot because many of the parks are only open seasonally, and some are very remote. Think of Isle Royale National Park or Alibates Flint Quarries National Monument. They aren’t all that well paid and their accommodations aren’t always that great, but there is a camaraderie and enthusiasm that is infectious. National Park Rangers aren’t just employees or protectors of the park units, they are honestly interested in these places. They are also instrumental to your experience … enhancing your enjoyment and what you learn. So, next time you visit a National Park Unit … thank the ranger and all the employees and volunteers of the National Park Service.